Cisco Live! is a series of global events where IT and communications professionals can come together to share knowledge and skills in events, webcasts, and on-demand sessions. Melbourne is hosting the Australian iteration of Cisco Live! between the 6th and 9th of March. Whether you’re interested in sharing ideas, sharpening your expertise, or want to get inspired, this is the place to do it. Learning why Cisco-powered cloud infrastructure is best of the breed. Macquarie Cloud Services’ clouds are built on Cisco technology, such as Nexus and software-defined networks (SDNs). This hardware powers not only the server-to-server infrastructure of our cloud, but also access to the Internet. Our cloud is built on multi-device meshed networks to guarantee that elusive four 9’s of uptime. Leveraging an existing relationship with Cisco by choosing a battle-tested vendor. When you already know, use, and trust Cisco products, it’s hard to make a big switch to a cloud built on unknown hardware. It can feel like a giant question mark hanging over head. At Macquarie Cloud Services, we also know, use, and trust Cisco – that’s why we build our clouds with it! It’s a Cisco-validated design so you know you can trust it. It’s built on locally-sourced Cisco servers and networking hardware. Cisco has approved code and firmware versions, as well as 3rd-party software. We can integrate your Cisco solutions with our cloud to create cross-site environments. When you choose Cisco because you trust it, you should choose a cloud vendor that Cisco trusts. Building a disaster recovery plan that works. A disaster recovery plan is a must for a business of any size. Now with disaster recovery as a service in the cloud, it’s attainable for even small businesses. Whether your organisation doesn’t have a disaster recovery plan or it hasn’t been updated in a while, there’s no time like the present to build one. There are three key steps to designing a disaster recovery plan that actually works in a disaster situation. If this is a topic that interests you, we’ll be discussing these steps during our fireside chats with Zerto. 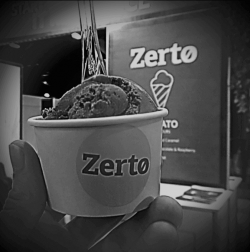 Swing by our booth (E7) at 3:30 pm on Wednesday, or Thursday to catch it and don’t forget to you can help yourself to a little gelato treat at Zerto’s gelato bar. The team heading to Melbourne to represent Macquarie Cloud Services is looking forward to this information-packed week. We’ll be giving away lots of prizes and goodies throughout the conference. Do you have the skill that it takes to unlock our cloud box? Come see what you can win and have any of your cloud hosting questions answered. Whether it’s your first time attending a Cisco Live! event or you’re a seasoned delegate, please stop by our booth for cloud hosting tips, goodies, and surprises.